Uncover the mysteries of the Amazon! 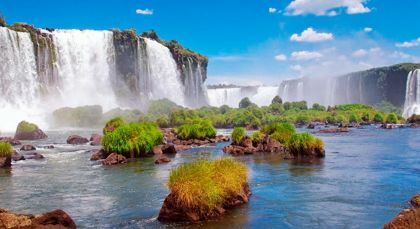 On the one hand a voyage of discovery deep inside the Amazon rainforest, and on the other a relaxing sojourn on pristine beaches or by roaring rapids, this private Brazil tour is the perfect introduction to the country’s prized jewels! 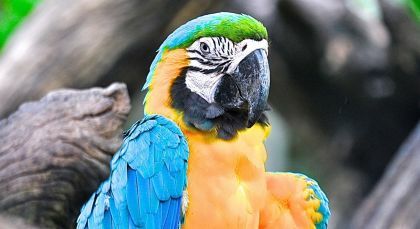 Amazonas is the heart of the Amazon rainforest with unparalleled biodiversity. The brilliant coastal jewel of Salvador da Bahia has many firsts attached to it. 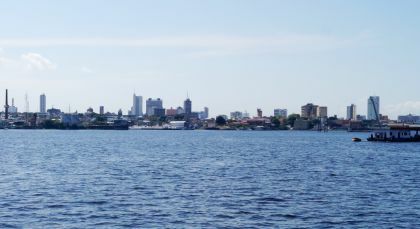 Established in the mid-16th Century by the Portuguese, it was one of the first colonial cities of the New World and the first Brazilian capital. Discover the fascinating history of this pulsating city on this half day tour. One of the oldest colonial cities to be established in the Americas, Salvador traces its roots to the 16th century Portuguese fortress of São Salvador da Bahia de Todos os Santos. Enjoy a walk along the bay before making your way down tree-lined avenues to reach Pelourinho. It is not surprising that the spectacular and well-preserved colonial architecture surrounding this city center is a UNESCO World Heritage Site. Take a turn around this magnificent town square, admiring all its grand old colonial buildings. 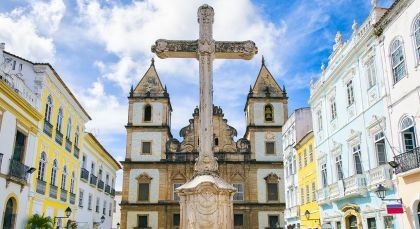 Stop by the glorious São Francisco Church, with its extravagant gold leaf baroque designs, before heading to the Largo do Pelourinho, at the heart of this old neighbourhood. (Half Day; Private Activity & Transfers; Fitness Level: Easy; Please bring comfortable walking shoes. Please note that on Sundays, this tour is available only in the morning). Sample the delicious Afro-Brazilian cuisine of the Bahia region on this food trail around Salvador. Seafood, especially shrimps, form the core of much of Bahian dishes. What better place then, to start your food tour, than the colorful local fish markets of this coastal city? Visit the recently redeveloped Agua dos Meninos fish market, which is the main seafood hub of the city. Walk up to the bustling Sao Joaquim market, a traditional open marketplace for the rich produce of the surrounding farming region. 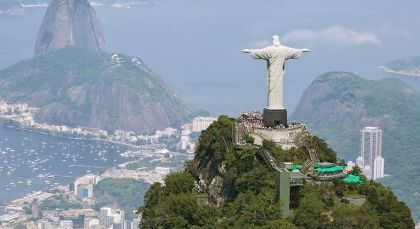 This largest traditional Brazilian market boasts of nearly a thousand stalls selling everything from exotic fruits and vegetables to local spices, herbs, wicker baskets and traditional earthen cookware! Stop by a local restaurant for a well-earned and sumptuous Bahian lunch. The region’s favorite seafood stew of Moqueca is certainly worth a try, in combination with Vatapá, yet another Afro-Brazilian staple of shrimp, nuts and peppers cooked in a deliciously creamy coconut milk curry. Both are usually served with rice. Polish it all off with the ubiquitous coconut, milk and eggs desert of the much loved Cocadas. You could also end on the refreshingly sweet notes of thin tapioca wraps with bananas and condensed milk! (Half Day, Morning Tour; Meals included: Lunch; Please bring comfortable walking shoes). Praia do Forte is a pretty little Brazilian beach town just north of San Salvador, along a coconut and mango grove lined road. 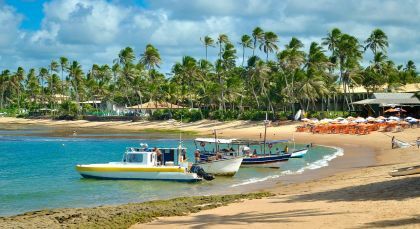 Part of the colorful Bahia region, this is a popular seaside tourist destination with sustainable ecological projects.